PM Modi with the young Prince of Bhutan. 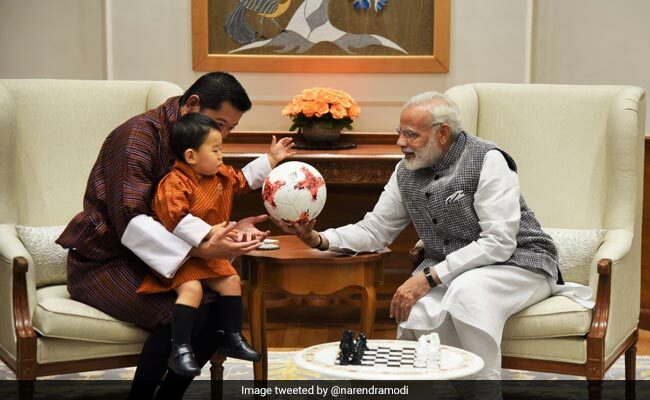 Prime Minister Narendra Modi yesterday gifted an official football from the FIFA U-17 World Cup to the young prince of Bhutan. Today, a video of him playing 'catch' with the 1-year-old prince is making the Internet go aww. Their play session took place when the royal family of Bhutan, in India for a four-day visit, met the Prime Minister last evening at his official residence. The prince of Bhutan was accompanied by his parents, King of Bhutan Jigme Khesar Namgyel Wangchuck, and Queen Jetsun Pema. 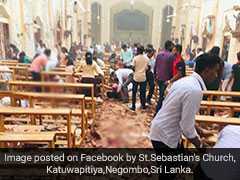 Shared on Twitter just two hour before writing this, the video has already collected almost 2,000 'likes'. On Facebook, it has been 'liked' over 11,000 times. Photos of the young prince's photographs have been giving netizens a reason to smile since yesterday. About 15 hours ago, in a tweet that soon went viral, PM Modi shared a pic of himself presenting the prince with a football and a chess set.